inevitable system limitations: In response to many questions we’ve been receiving here at Krugle HQ, it appears we need to clarify. Krugle searches open source software code. 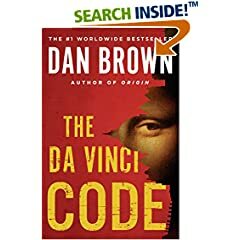 Sorry, but The Da Vinci Code is neither open source, nor (technically speaking) software. However, if you really need to search inside that book, it seems you can do so on Amazon — and there’s tons of documentation available via Google Books. This has been an official (if somewhat tongue-in-cheek) public service announcement.